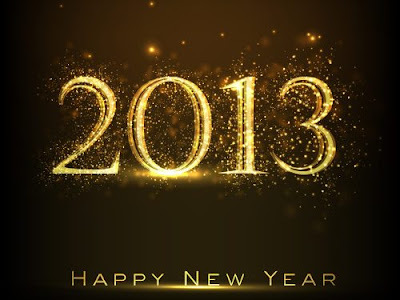 Scorching Style: Happy 2013: New Year, New Goals! Happy 2013: New Year, New Goals! Happy New Year! Last year was my first full year blogging and while I really enjoyed it and I feel like I am much better able to put myself together somewhat, I still want more. So 2013 is going to be a bit different for me. How? Let me tell you! I've mentioned Kimmie's budget over at Blue Paper Lanterns and how much I admire that she can really stick to a $600 a year clothing budget. I honestly don't believe I could do that, but I do want to be much more aware of how much I am spending on my clothes this year. While I won't have a hard set budget like Kimmie, I am going to start tracking my clothing spending this year. Each month, I will do a recap of that month's purchases so that I can better track what I spend and how, so that next year I can give myself a realistic monthly budget for clothing. 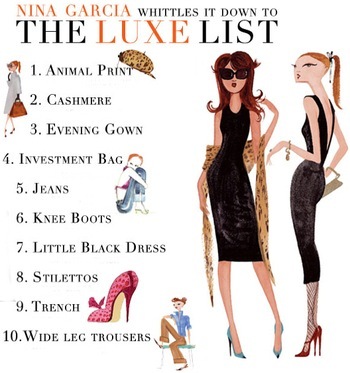 In addition, Nina Garcia is one of my fashion idols and in the past I've tried to ensure that I have the 100 items every woman should have as she suggests. While I have more than half, I still have a ways to go. I've used her list to find gaps in my closet and also to filter out the items I don't want in my closet even if my idols says I should have them - Minnetonka moccasins and Vans both come to mind. In the next couple of weeks and months, I will share the items I have from the list and the items I am adding to a "Targeted Purchase List" as well as the "Wishlist Items" that I truly don't expect to be able to buy this year. 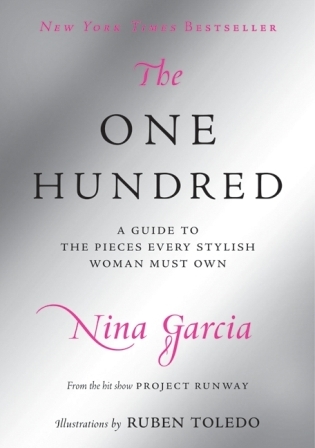 I have a few items to add (or substitute) to Nina's One Hundred list and I will also be sharing those with you in the coming weeks. I will be spending the next week or two cleaning out my closet and doing a close inspection of items I am keeping, donating, and tossing and coming up with my purchase plans before I set myself loose at the mall over the next year. 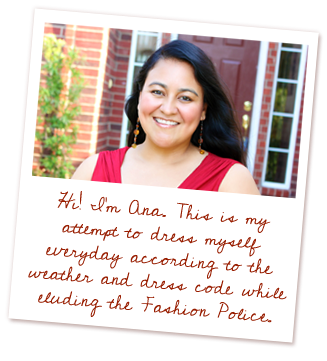 Finally, I am hoping to make some changes to my blog including a possible blog redesign this quarter as well as more posts that have to do with Bargain Shopping, Fashion News, and at least one a month that has nothing to do with what I am wearing or buying. My biggest goal will be to respond much more promptly to blog comments and get to know my fellow bloggers better. 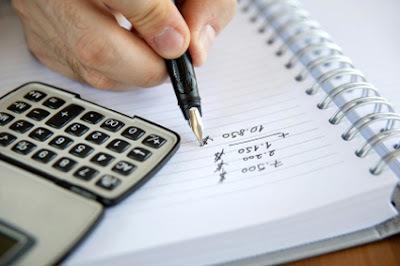 To recap, my goals for 2013 are: 1) To track my clothing spending; 2) To shop smarter and fill in the gaps in my closet; 3) To diversify my blog; 4) To become more involved in the blogging community. What are your goals for 2013? HAPPY, HAPPY NEW YEAR! thanks for the lesson in "Targeted Purchase List" and "Wish List". i have a wish list, but i'm wondering if the items fall more into the targeted purchase category? 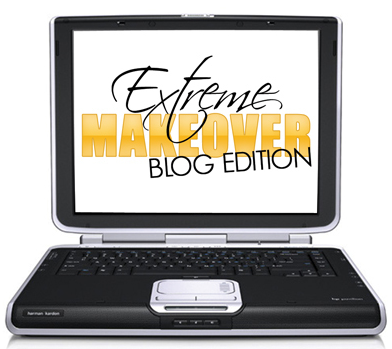 like you, i'm going to continue to evolve with my style blog. a major goal of mine is to meet as many blogging buddies that i can in real life. i'll be heading your way soon!